It's been two years since Jackie Estacado, now the Don of the Franchetti crime family, used The Darkness to kill the men responsible for his girlfriend's murder. He's been unable to shake the memory of Jenny's death since bottling up his supernatural power, and now The Darkness wants out. A sudden, unprovoked attack on Jackie's life heralds the start of a full-scale mob war, which has clearly been orchestrated by some outside force. The botched attempt opens the door for The Darkness to reemerge, and sets Jackie on a journey to hell and worse, as he unravels the mystery behind the attack and the motivations of The Darkness itself. 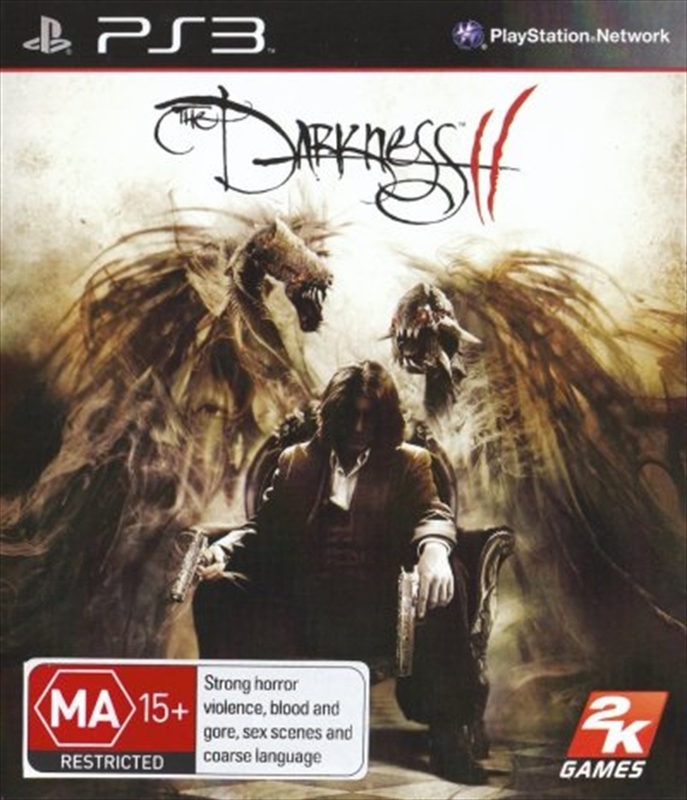 The Darkness II breaks out of the sea of conventional first-person shooters with its fervid Quad-Wielding gameplay, which will allow players to slash, grab, and throw objects and enemies with their Demon Arms while simultaneously firing two weapons. The game is layered with the use of dark versus light, steeped in deep and twisted storytelling, and engulfed in stylistic violence that is visualized through a hand-painted graphic noir technique that stays true to its comic book origins.